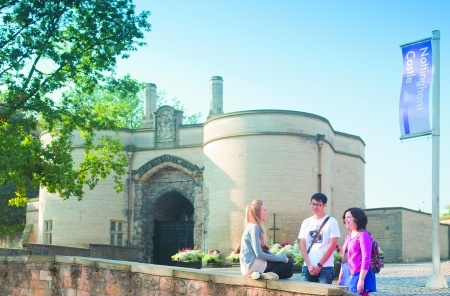 With the start of term in sight and many of our students coming back to Nottingham ahead of Welcome Week, we’re excited to share some of the fun things that are going on in the local area over the next few weeks. Information: Heritage Open Days are an annual national celebration of England’s fantastic architecture, culture and history, offering free access to properties that are usually closed to the public or normally charge for admission. Beeston Civic Society have organised a varied and fascinating programme across South Broxtowe and you can find out more on their website. Information: Buy tickets online and put on your dancing shoes! Information: Another chance to dance the night away. More details available on the Canalside Heritage Centre website. Information: Heritage craft, traditional toys, community archaeology and much more. Information: You’ll have to move quickly to enter this year’s race, as entries close at midnight on 1st September, but anyone can support the runners and soak up the atmosphere at this big race. Information: A showcase of some of Nottingham’s finest food, drink and craft.